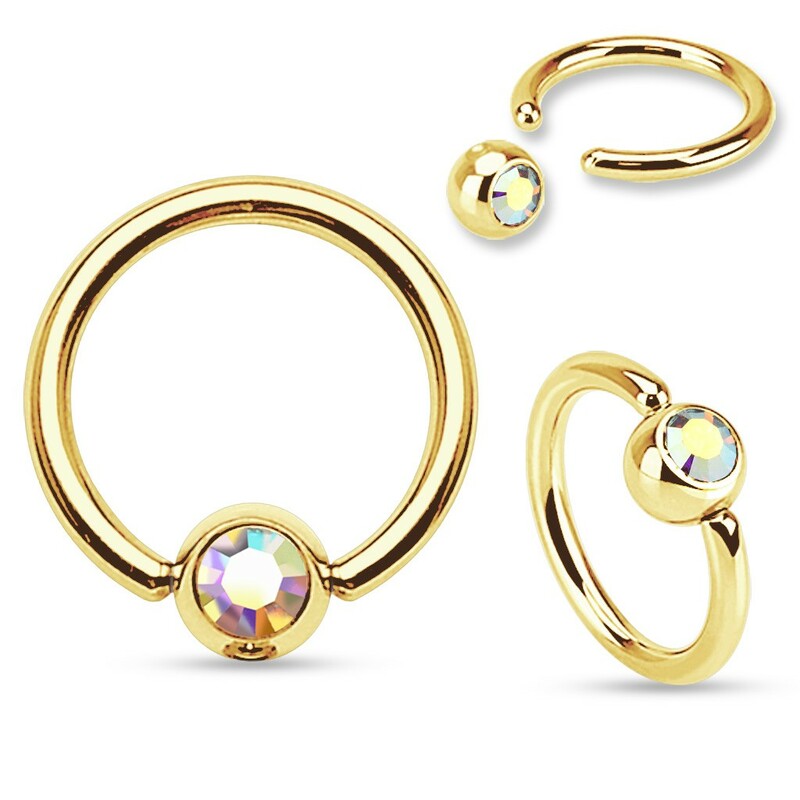 If you're on the search for a new piercing this ball closure ring might just be what you're looking for. The ring is multifunctional, it can be worn on several places on the body. If you're looking for a gold piercing with a gorgeous stone, this ball closure ring might the one. The rings are available in a wide range of sizes. This doesn't just allow you to choose that size you find most comfortable, it also allows you to get creative when thinking of places to wear this ring. All that is left is finding the colour that suits you best. 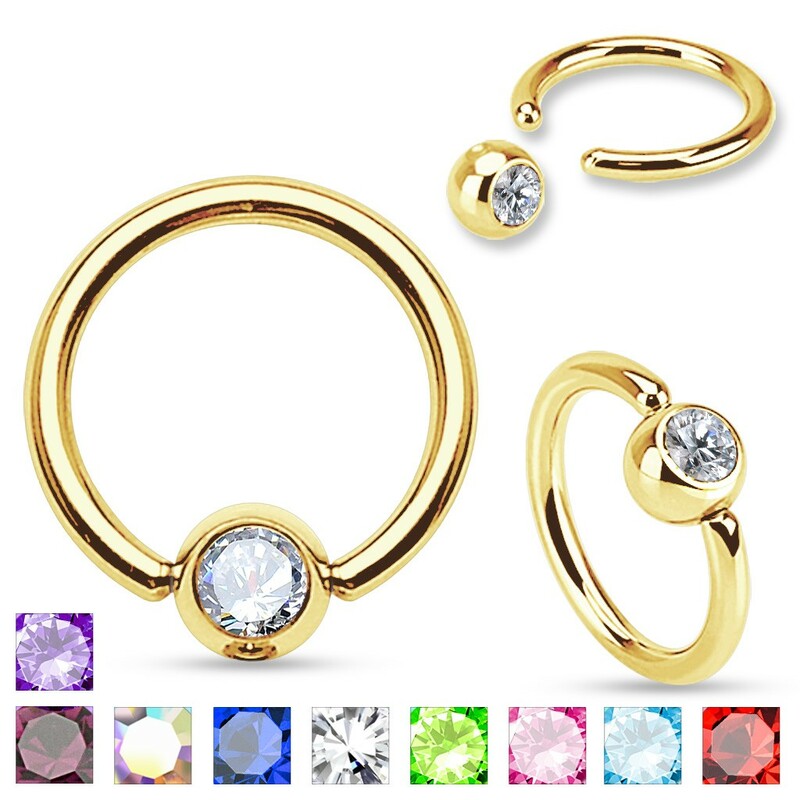 Rather a gold ball closure ring without a stone? Then we have another neat piercing in our collection. Ball closure rings are infamous for placing and removing them. A bit of help from someone else of the use of pliers might prove handy. Do keep in mind that this ring isn't made of solid gold, but gold-plated. The underlying material consists of 316L surgical steel. 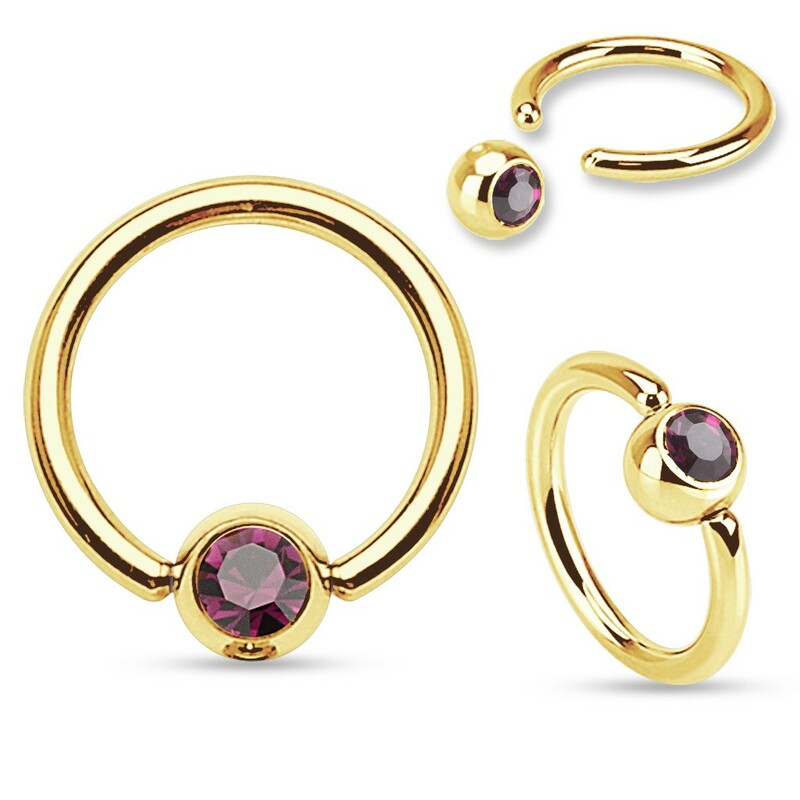 Make sure you protect this piercing from exposure to water, soap, sweat etc. This will prolong its lifetime and prevent discolouration.